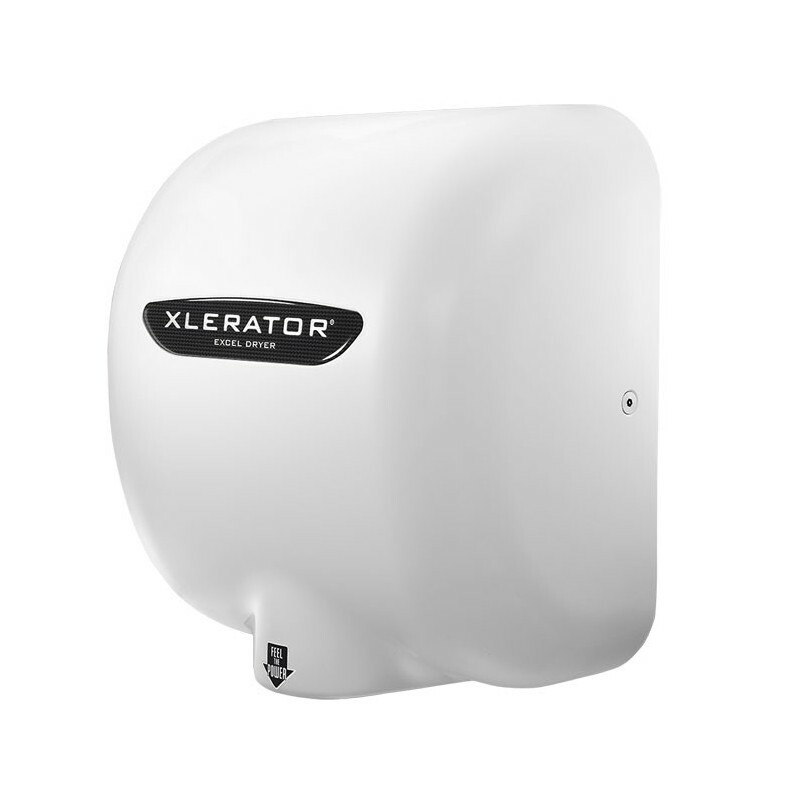 Xlerator with White Thermoset BMC cover. Dries hands in 10-15 s. Promotes hygiene. Feel the power! Timed shut-off 2 Seconds after hands are removed. The Xlerator hand drier by Excel Dryer and distributed by Dreumex is both modern and energy-efficient. It is the premier high-speed hand dryer. Upgrade your restrooms today with a well-known hand dryer and an industry standard for restroom efficiency and sustainability! - Heat control: Adjust the heat level for the most comfortable dry and the best balance with energy efficiency and costs saving. High, medium, low and off. 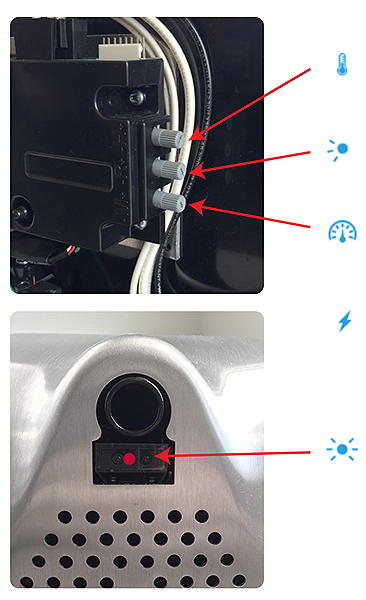 - Sensor control: Adjust to control how close hands are before the dryer activates. - Easily Visible LED Diagnostic for Easy Maintenance: Without opening the cover, a complete list of troubleshooting codes is listed in the provided owner's manual. Fast, dries hands completely on 10-15 s and promotes hygiene. 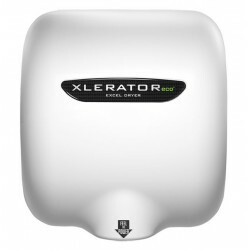 Energy-efficient, uses 80% less energy than traditional hand dryers and is a source reduction alternative. Reduces the carbon footprint. Economical, 95% costs saving over paper towels. Read our analysis Hand dryers or paper towels? and calculate your savings with our document in the Downloads section. 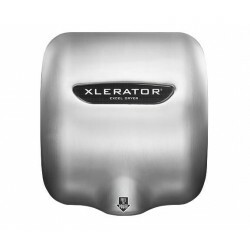 Speed is a key factor in the efficiency of a hand dryer and the Xlerator uses patented technology designed with a high-velocity air stream and contoured nozzle that completely eliminates water droplets and vapor. Robustness and sharp design with its one-piece case, it is a must for all restrooms with high frequency! Especially suitable for concert halls, stadiums and event public places. 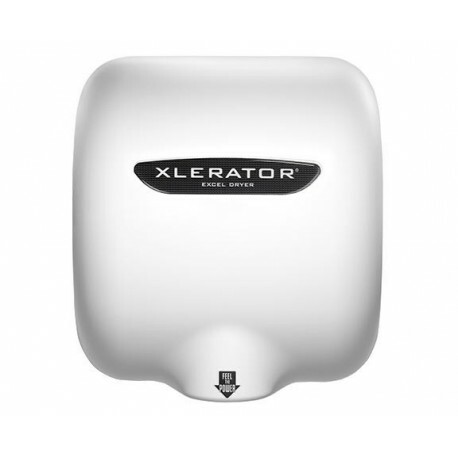 The Xlerator XL-BW features a white thermoset polymer cover. 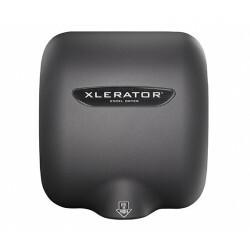 It is the least expensive Xlerator model and also the most popular. The white cover is very durable and matches most white W.C. 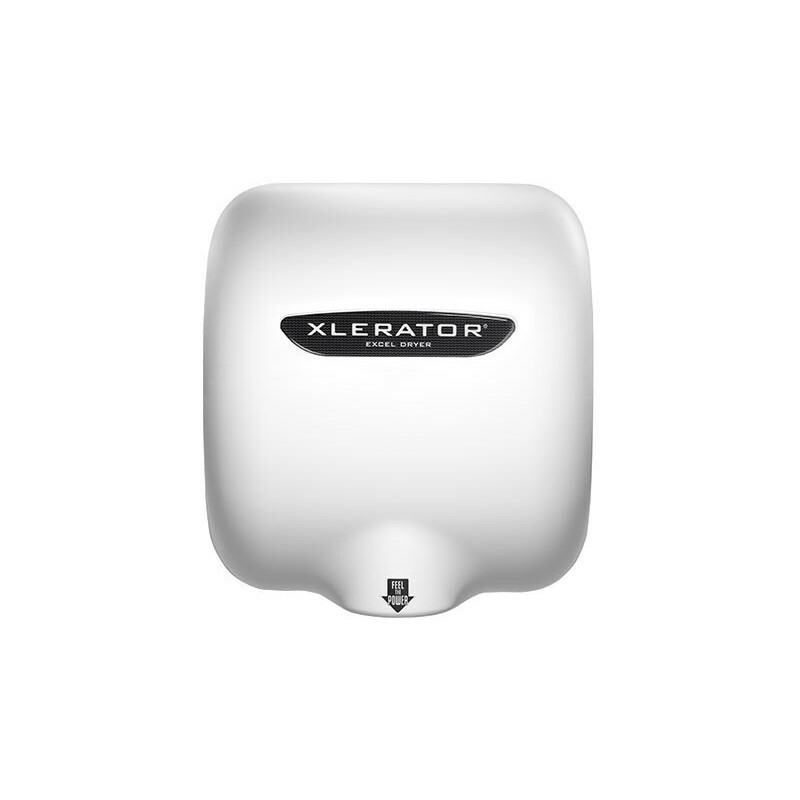 Learn more about Xlerator Green certifications in our Downloads section. GREENSPEC® Listed and Helps Qualify for the LEED® credits. The cover will be fastened to a base plate by two chrome plated tamper-proof bolts. 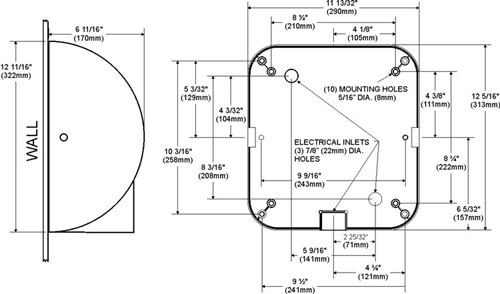 The hand drier base plate shall be equipped with (3) 7/8" (22 mm) diameter holes. All internal parts coated according to Underwriters' Laboratories, Inc. requirements. Entire mechanism is internally grounded. 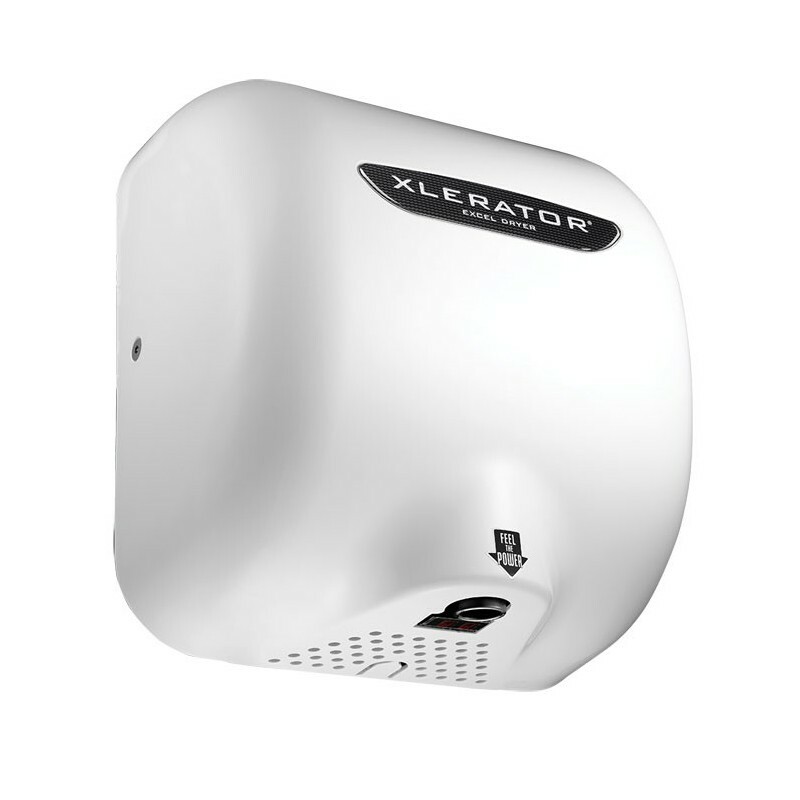 Hand drier motor shall be a thermally protected, series commutated, through-flow discharge vacuum motor/blower (5/8 hp / 20,000 rpm) and provides air velocity of up to 19,000 LFM (linear feet per minute) at the air outlet and 16,000 LFM at the hands (4 inches [102 mm] below air outlet). The heating element (970 w) is constructed of Nichrome wire and mounted inside the blower housing. It is protected by an automatic resetting thermostat, which opens when the air flow is cut off and closes when flow of air is resumed. It shall produce an air temperature of up to 135°F (57°C) at a 72°F (22°C) ambient room temperature at the hands location (4 inches [102 mm] below air outlet). The control assembly is activated by an infrared optical sensor in the hand drier next to the air outlet. The hand dryer shall operate as long as hands are located under the air outlet. There is a 35-second lockout if hands are not removed. 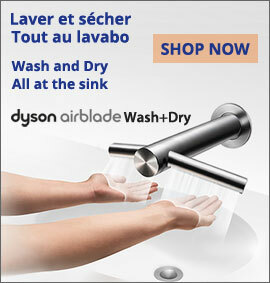 One drier for every two washbasins is normally sufficient. If restroom traffic is unusually heavy, we recommend one dryer per washbasin in small W.C. and two driers for every three washbasins in larger ones. most comfortable dry. High, medium, low and off. 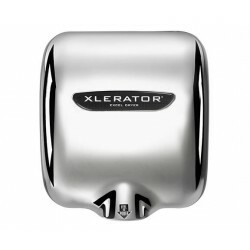 XLERATOR without even opening the cover! is listed in the provided owner's manual.